The Internet of Everything (IT) was one of the main tendencies in 2015 according to Gartner. The term To-do Internet is quite recent and there is confusion between Internet of Everything (IT) and Internet of Things (IC). To clarify this difference, let us begin with definitions and applications and examine the future of this new concept. Internet of Everything ” is to gather People, Processes, Data and things To make network connections more relevant and valuable than ever, turning information into action that creates new capabilities, richer experiences, and unprecedented economic opportunities for businesses, individuals, and countries, “(Cisco, 2013). 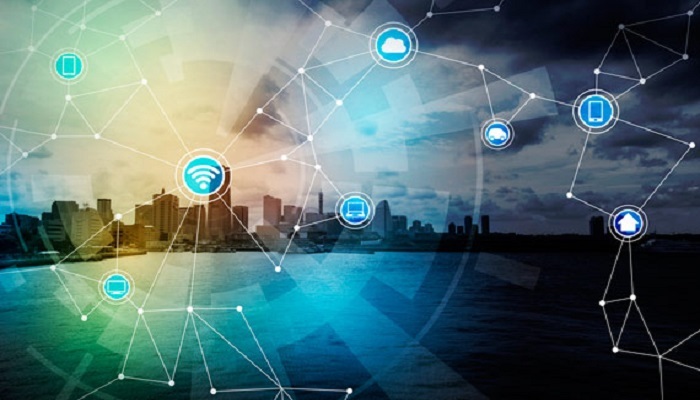 In simple terms, Internet of Things is the intelligent connection of people, processes, data and things. However, the Internet of Everything (IT) describes the world in which billions of objects have sensors to detect, measure and assess the state; All connected through public or private networks using standard and proprietary protocols. People: connecting people in more relevant and valuable ways. Data: convert data into intelligence to make better decisions. Processes: Deliver the correct information to the appropriate person (or machine) in a timely manner. Things: physical devices and objects connected to the Internet and each other to achieve intelligent decision making; Is often called the Internet of Things (IC). Internet of Things (IC) is the network of physical objects that are accessed through the Internet. These objects contain embedded technology that allows interacting with internal states or the external environment. In other words, when objects are able to detect and communicate, the way and where decisions are made changes, and who takes them. For example, intelligent thermostats. With four pillars – people, processes, data and things – the Internet of Everything (IT) is based on Internet of Things (IC), which in turn is based on a single pillar: things. Also, the Internet of Everything increases the power of the Internet by improving the results of companies and industry, and ultimately improves people’s lives by contributing to the Internet’s advancement of Things. (Dave Evans, Chief Futurist of Cisco Consulting Services). Read also: Twitter Marketing: Effective or Not? Internet de Everything will reinvent the different sectors of activity at three levels: business process, business model and business moment. “At the first level, digital technology is enhancing our products, services and processes, the experience of our customers and the way we work in our organizations and our collaborations,” said Hung Le Hong, Gartner Vice President of Research and Partner. As companies digitize their products and processes, completely new ways of doing business in different sectors. Gartner analysts expect more transformational changes to occur as digitization reinvents industry-level models of business. Le Hong offered the examples of Nike, which operates in the health sector boundaries with their garments and connected equipment, and Google, which has a presence in the autonomous vehicles. “These companies had nothing to do in those sectors and now they are reinventing them,” Le Hong said. Gartner predicts that companies will make intensive use of IT technology and that a wide range of products will be sold in various markets. These include advanced medical devices, sensors for factory automation and industrial robotics applications, tiny sensors to increase agricultural production, sensors for the automotive sector and systems for monitoring the integrity of infrastructures for areas as diverse as Transport by road and rail, water distribution and electricity transport, in short, an endless list of products and services. But as devices become more connected and more data is collected, concerns about privacy and security will increase. The way companies decide to balance their customers’ privacy with this abundance of IT data will be a crucial factor.